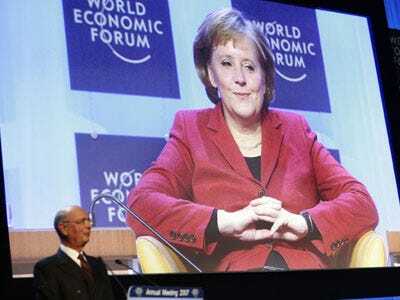 In a speech to lawmakers in Berlin today before heading to Brussels for the summit with fellow EU leaders, Merkel chided member states that flaunt EU budget-deficit rules, saying that budget restraint is a requirement for all members of the euro region. No “trickery” can be allowed to “play with Europe’s future,” he said. A “good European” protects euro-region stability. She went on to reiterate her stance that aid to Greece come only after Greeece failed to access capital markets. So, basically, she wants Greece to jump, and if the parachute doesn’t open, the Germany may play some role in putting out a net.